Tonight the 4th Annual L’Oreal Paris National Movie Awards took place at Wembley Arena in London in a ceremony was hosted by Christine Bleakley. These are a British cinema awards presentation where the winners are chosen by popular vote. The winner of Best Drama was the already much-feted The King's Speech. It out-polled fellow nominees 127 Hours, Black Swan, The Social Network and True Grit. The King’s Speech also won a Special Recognition Award and Performance of the Year for star Colin Firth. Unfortunately, Firth couldn't attend due to work on his next project, so he had his onscreen daughters in the film accept on his behalf. Co-star Geoffrey Rush was on hand to join director Tom Hooper in accepting the prize for Best Drama. He also accepted the Screen Icon Award on behalf of his Pirates of the Carribean co-star Johnny Depp. 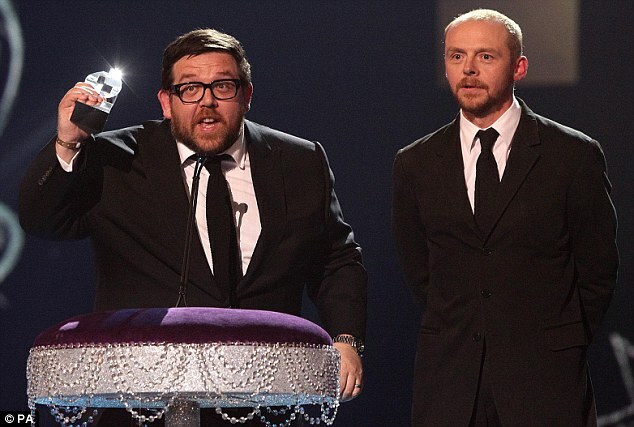 The Best Comedy award went to the Simon Pegg and Nick Frost sci-fi parody Paul. Harry Potter and the Deathly Hallows: Part 1 won Best Fantasy while its sequel Harry Potter And The Deathly Hallows: Part 2 was named the Must See Movie of the Summer.